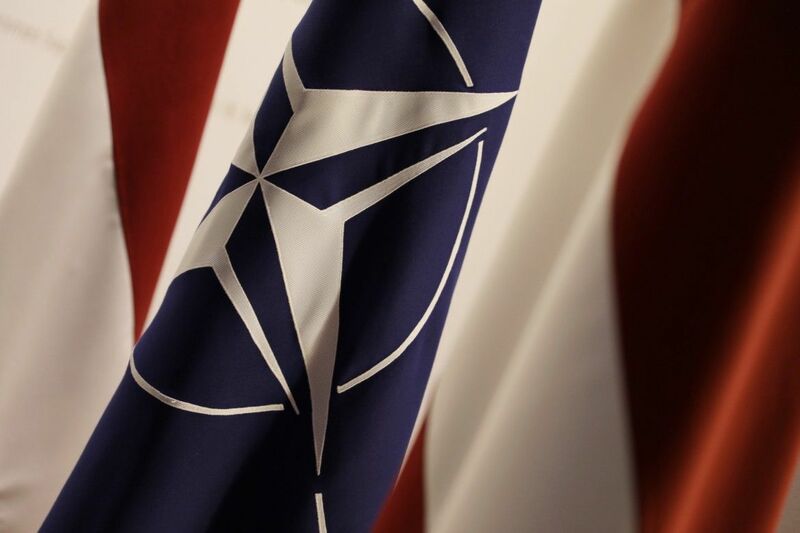 29 March 2019 marks 15 years since Latvia, together with other aspirant countries submitted its instruments of accession in Washington thereby officially joining the North Atlantic Treaty Organisation – NATO. On April, NATO will celebrate its 70th anniversary. These two dates highlight 2019 as NATO’s anniversary year in Latvia for the entire Alliance. The Foreign Minister Edgars Rinkēvičs expresses his gratitude to everyone who has facilitated the process of Latvia’s accession to NATO – public officials, diplomats, members of the National Armed Forces and the general public in Latvia – for their unwavering support for the Euro-Atlantic course of our country. This is the moment to thank again all Latvian military who stand on guard for our security day after day and to pay special tribute to those who have given their lives representing Latvia in international missions and operations. “Since the restoration of independence, Latvia has sought to gain a foothold in the space of Euro-Atlantic values and security. And we have achieved that goal! This year marks the 15th anniversary of our membership in NATO. Latvia is an active and reliable NATO ally and fulfils the responsibilities incumbent upon it. As a NATO member state, Latvia takes part in decision-making at the highest level, and this has a direct influence on Latvia’s security,” the Foreign Minister recently underlined. Latvia’s path to the membership of the most powerful military alliance in global history began right after the restoration of independence in the early 1990s. This stage is remarkable for persistent work with partners, and the sustained efforts have yielded results – the goal has been achieved. Latvia has become more secure than ever before. This success must not be taken for granted. Latvia’s NATO membership is of importance in building up and ensuring our country’s defence. At the same time Latvia’s contribution to the collective defence of the entire Alliance is also significant. Latvia, mindful of its security and being a faithful ally, takes part in NATO operations, provides the required host nation support for the Allied troops in Latvia and invests 2 percent of its GDP in defence, thereby upholding collective decisions. To mark 15 years of Latvia’s membership in NATO and the 70th anniversary of NATO, today, on 29 March at 15.00, an exhibition, “15 Years of Latvia’s NATO Membership”, is unveiled at the Ministry of Foreign Affairs. The exhibition presents the timeline of key events both on Latvia’s path to NATO and as a full-fledged member of the Alliance. The display offers the most important documents from the MFA Archives reflecting Latvia’s path to NATO, for instance, the invitation to join NATO Partnership for Peace programme, the national foreign policy framework until 2005 approved by the Saeima vote, in which integration with the EU and NATO has been set as the main task, and the protocol to the North Atlantic Treaty on the accession of Latvia to NATO. On 3–4 April, the NATO Ministers of Foreign Affairs will convene for a meeting in the light of NATO’s 70th anniversary. Latvia will be represented in the event by the Foreign Minister Edgars Rinkēvičs. Washington D.C. has been symbolically chosen to host the landmark meeting, as it was there that the North Atlantic Treaty was signed on 4 April 1949. At the session, Foreign Ministers will discuss the Alliance’s adaptation measures in the face of the changing conditions, which has enabled the organisation to respond convincingly to the challenges of both the Cold War and the 21st century. Foreign Ministers will then share views on recent developments concerning the Euro-Atlantic security and further steps in the implementation of last year’s Brussels Summit decisions. An exchange of opinions is expected on current challenges from the east, especially threats posed by Russia, and challenges from the south, as well as international efforts of combating terrorism. For Latvia, the meeting in Washington will hold special significance, seeking to forge an even stronger transatlantic link among the allies and confirm political unity and preparedness in practical terms to respond collectively to common challenges. The Foreign Ministers’ session is an important point of reference ahead of NATO leaders’ meeting to be held in London in December. Young people aged 18 to 25 are applying for participation in the NATO Summit Simulation Game to be held on 15 May by the Ministry of Foreign Affairs in association with the Ministry of Defence, LATO and the Latvian Institute of International Affairs. The main prize for the winners – a paid trip to the NATO Headquarters in Brussels. The objective of the simulation game is to promote knowledge about and interest in NATO and the issues of international security and defence, as well as understanding of NATO’s decision making process.